On the 8 January 2015, the shock electoral defeat of Mahinda Rajapaksa by his former ally, Maithripala Sirisena, rescued Sri Lanka from a slide into increasingly nationalist authoritarianism. The incredible victory of a broad coalition representing Sinhalese, Tamils and Muslims gave hope that the country could address its longstanding political challenges: remedying the 60-year failure to grant Tamils a fair share of power on the Sinhala-majority island and restoring for all citizens the rule of law, damaged by decades of politicisation, bitter ethnic bias and impunity. The democratic benefits from the defeat of President Rajapaksa and the removal of his family and supporters from key Government positions remain tangible. However, Sri Lanka’s political dysfunctions began long before the Rajapaksas took power. Despite positive changes and promises of constitutional changes to come, there has been no substantial, sustainable progress on addressing the two biggest political challenges. Meanwhile, Ex-President Rajapaksa, whose charisma and civil war success have kept him popular with the hardline Sinhalese, has also helped to retain the loyalty of some from the SLFP, particularly local party activists, most of whom have never accepted the Unity Government. His attempt to regain control of the party benefits from the dissatisfaction of SLFP ministers who joined the Government over what they identify as the UNPs unilateral decision-making. 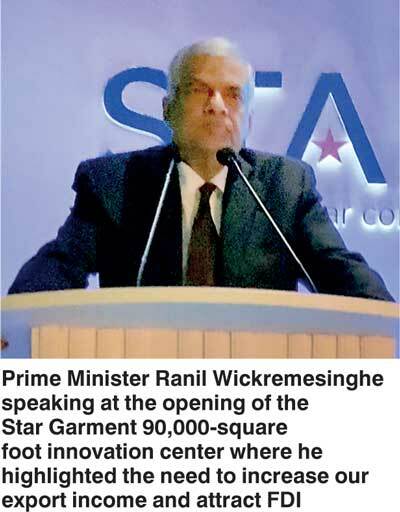 Looming large with them are local elections, originally due in 2015 but repeatedly postponed for fear the SLFP might trail not only the UNP, but also Rajapaksa, who operates in Parliament as part of the ‘Joint Opposition’. Three provincial council polls, with the same risk for the SLFP, are also scheduled in 2017. The SLFP is a resentful junior coalition partner whose ministers see uniting their own party as a top priority – thus making peace with Rajapaksa – as the best way to regain control of the Government. The Rajapaksa clan would however need to overcome significant hurdles to return to power; the earliest that parliamentary elections can be called for is 2020. A more likely scenario is deepening coalition dysfunction, as the SLFP bides its time and prepares to regroup for both parliamentary and presidential elections that year. Meanwhile, the Rajapaksas are doing whatever they can by exciting their base, attacking constitutional reform and transitional justice as capitulations to anti-Sinhala and foreign forces. The rising COL is also helping their media effort to create chaos. Despite the prime minister’s repeated attempts to articulate an attractive export- and foreign-investment-oriented economic strategy, officials have issued multiple, often conflicting, policy statements. Disagreements between the UNP and SLFP about the costs of International Monetary Fund (IMF)-supported economic restructuring, compounded by public anxiety at the absence of visible development projects and opposition criticism, have led Sirisena to reverse or modify numerous UNP tax and liberalisation proposals. The resulting policy uncertainty has contributed to lower than expected foreign direct investment. Any benefits from the broad reforms encouraged by the IMF and investors will appear only over the years but their costs would be felt now, in higher taxes, lower subsidies, budget cuts and trade and investment policies, giving foreign companies controversial privileges. The Government needs to retain the support of the three key constituencies that brought it to power: reform-minded Sinhalese, Muslims and Tamils. While few from these are likely to support the Rajapaksa-led opposition, rebuilding trust in the yahapaalanaya project requires compromise and balancing expectations and risks across the spectrum of challenges. At a minimum, the president and prime minister need to agree on a five-point program of renewal: set up an UNP-SLFP economic team to develop and oversee consensus policy on economic reforms and sharing short-term hardships more equitably; launch a campaign for a new, more democratic and pluralistic Constitution, including increased devolution, and commit to achieving the two-thirds majority needed in Parliament, while building support to win a referendum. If more time passes without prosecution of major corruption and political crimes, the more people will lose faith that the Government is different from its predecessors. The Government would then have lost its most powerful asset and would have to face an election with nothing much to talk about other than the 19th Amendment. The country can certainly achieve a lot if the Unity Government can focus on the reforms and results that the people want and prevent chauvinism and religious opinions taking over. And therein lies Sri Lanka’s future.